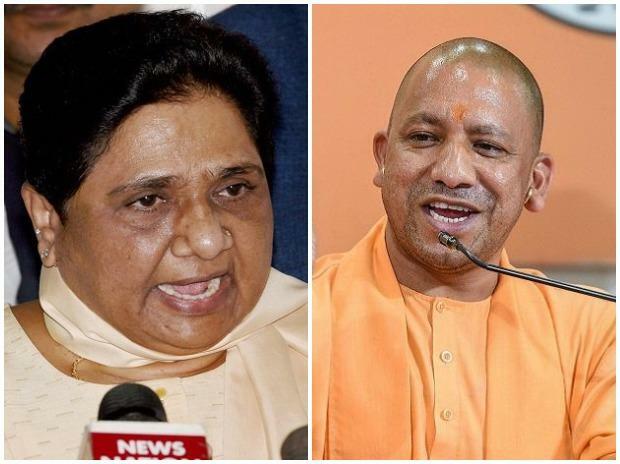 The Election Commission (EC) on Monday banned Uttar Pradesh Chief Minister Yogi Adityanath and Bahujan Samaj Party (BSP) supremo Mayawati from election campaigning for 72 hours and 48 hours, respectively, starting from 6 am on Tuesday, for violating the Model Code of Conduct by making objectionable statements in their speeches, reported news agency ANI. The EC action came after the Supreme Court took note of the alleged hate speeches made by Mayawati and Yogi Adityanath during campaigns and sought to know from the poll panel about the action initiated against them so far. The Election Commission "strongly condemned" Adityanath and Mayawati for their communal remarks. The two have also been "censured". Mayawati was issued the notice for her speech in Deoband appealing to Muslims to not vote for a particular party. The BSP chief had prima facie violated the model code of conduct, the poll panel found. Adityanath was served the notice for his "Ali" and "Bajrang Bali" remarks while addressing a rally in Meerut. He compared the Lok Sabha elections to a contest between 'Ali', a revered figure in Islam, and Bajrang Bali, the Hindu god Hanuman.